With a sick son to raise, she focused on what is best for his health and optimistically left other matters to sort themselves out. But then her sister-in-law’s daughter gained a place at the International Junior High School, and her troubles began. She moves house to Daechi-dong, ending her previously contented existence, and she grows dispirited. After graduating from Art College, she met her husband while working in the station’s design department and married him on the spur of the moment. Her newsroom journalist husband comes to realize in retrospect that she’s rather irritatingly different from the women he’d previously known. And now, having moved to Daechi-dong for the sake of her son’s schooling and feeling she’s suffocating there, she falls in love with another man. Having heedlessly married a man totally different from herself, she finds that having to abandon her own values and live by those of a soulless educational machine is just too much to take. She tells herself that falling in love with a man who is a kindred spirit is only natural in the circumstances. Yoon Seo Rae’s husband, current affairs media journalist. A typical South Korean man, he is very sure of his own opinions. Comes across as amiable and self-possessed, though in fact he’s constantly checking left and right in order to make sure he’s going with the flow. He heads up the team responsible for economic and business reporting and hosts a regular program slot. 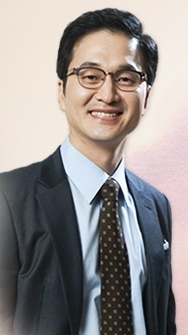 He is envious of his younger sister’s husband, the lawyer Jo Hyeon Tae, and is fond of boasting that he’s related by marriage to a member of the Upper House. After they move to Daechi, he actively participates in his son’s education and encourages Seo Rae in her efforts. But when this leads to his discovery of his wife’s affair, his whole life becomes poisoned by anger and anguish. When he first thought of marrying the high-spirited and carefree Seo Rae, he hesitated a moment at the thought of her humble background, but then he reflected that a woman of rough-hen origin can be polished by her husband into a gem of his own creation. Dentist. And Seo Rae’s lover. He and his wife Hong Ji Seon met at college. Both from the same region, they got to know each other when they lived in the same boarding house near the campus. Their love was fresh and wholesome at first. He thought he would always live happily with his wife for the whole life, but when she set up a prep academy for elementary school pupils in the upmarket Kangnam district, cracks started to appear. Though he, too, started his own clinic in that part of town and settled into an affluent lifestyle, he felt he wasn’t pursuing his ideal of offering medical care to ordinary people. Though he appreciates his wife’s abilities, he secretly scorns the way the children’s mothers are so pleased with the results that his wife is getting, and he suddenly realizes she has become like one of those mothers herself. He begins to have serious differences with her about the upbringing and education of their own daughter. He starts to hanker after the romance they once shared in their rooming-house days. Desperately longing to go back to those times and the Ji Seon he knew then, he meets Seo Rae and falls in love with her. Tae Oh’s wife. Famous as a charismatic educator. Started off as giving private tuition in essay writing, then saw a vast new market in providing high-powered private tutoring for elementary school pupils. Her prep academy gained her fame and fortune. Achieving a 95% success rate in admissions to the International Junior High School and thus delighting the mothers of Kangnam, she realizes that she had abandoned the purity of her youthful ideals. Believing you have to become dominant to escape being dominated, she committed herself to the logic of power. She realizes that this change in her is sickening to her husband, but she told him “I’ll take care of earning money so you can focus on looking after people’s teeth.” Outwardly she seemed to be flourishing. But inwardly, she is becoming increasingly desolate and anxious. So when a mother with very different attitudes came her way in the shape of Yoon Seo Rae, she is secretly rather glad, although she didn’t let it show. Son of Yoon Seo Rae and Han Seong Jin. Exceptionally close to his mother. Once a sickly child, he has recovered his health thanks to her unwavering efforts and devotion, and he knows how much he owes her. He realizes his parents moved house for his benefit, and he tries his best in return to work hard at his studies, but he sometimes misses the life he used to lead. Seo Rae’s father-in-law. A former senior finance official, he had to retire when the government agency he worked for was closed, but he’s hoping to re-enter public life, so he cultivates close contact with this son-in-law Jo Hyeon Tae and his father. He thinks that if his grandchildren don’t excel at their studies, that brings disgrace on the entire family. Seo Rae’s mother-in-law. Daughter of a new-rich family. At the time of her son’s marriage, she strongly disapproved of Seo Rae’s background. But she saw she has a good character and isn’t stupid, and she thought she could be shaped into her kind of person. However when she realized she wasn’t so easy to shape, she became unhappy with her. She admits to her friends that she would prefer a more biddable daughter-in-law. Despite her aristocratic attitudes and elegant bearing, she is addicted to playing Go-Stop on line. Seo Rae’s sister-in-law, Seong Jin’s younger sister. Thanks to her father’s status as a senior government official and her mother’s matchmaking skills, she was able to marry Jo Hyeon Tae, the son of a distinguished lawyer. Her elder daughter is admitted to the International Junior High School, and her younger daughter has a place at the renowned Yewon Arts School to study cello, but although she congratulates herself on her children’s education, there’s one aspect where she feels lacking: she dearly wishes to give birth to a son. She regards Seo Rae as a flaw in her otherwise perfect family, but in the interests of preserving her own face, she tries to guide her along the right lines. 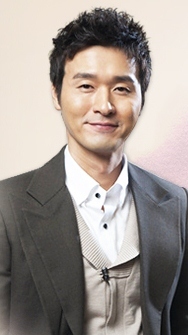 Myeong Jin’s husband, Seong Jin’s brother-in-law. Helped by his mother’s influence, he has steadily established a power base. He is a corporate attorney in the firm where his father is senior partner. He is socially very prominent. But he has a secret mistress. And a son. Seo Rae and Mi Rae’s mother. Devoted all her energies to earning the family’s livelihood in place of her wastrel husband who died before her. Three years after Seo Rae’s wedding, she suffered a post-operative stroke that left her demented. She lives in a nursing home and remembers nothing beyond the previous day’s events. She no longer recognizes her daughters. Seo Rae’s sister. She likes to enjoy life, and despite pressure from Seo Rae didn’t go to university but instead eventually qualified as a cook. She runs a business supplying high-quality organic side-dishes to Daechi wives who have no time for cooking. She’s blissfully happy without children or a husband, and sings the praises of the single life. She’s only ever met Seo Rae’s in-laws once, at the wedding. Lives alone with her son Jae Hoon. Jae Hoon is the same age as Seo Rae’s son. She claims that Jae Hoon’s father returned to the States for professional reasons, but in fact, she’s the mistress of Hyeon Tae, her friend Myeong Jin’s husband. Unbeknown to Myeong Jin, she became pregnant and went to the States to escape discovery, living there for several years, secretly nurturing the hope that one day she would become Hyeon Tae’s lawful wife. But she became weary of living so far apart and meeting her lover at most once or twice a year, so she brought Jae Hoon back to Korea, where she is concentrating on his schooling. Myeong Jin’s domestic help. Ethnic Korean raised in China. Twice weekly, she goes to help out at the home of Myeong Jin’s parents. Thanks to doing temporary childcare for various families, she has her ear to the ground about all sorts of matters.